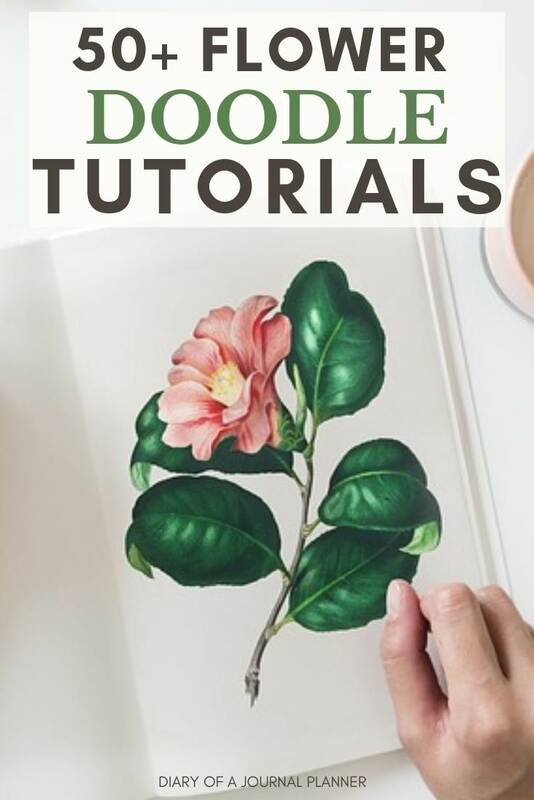 You will find in this post the best flower drawings tutorials to get you making flowers like a pro! 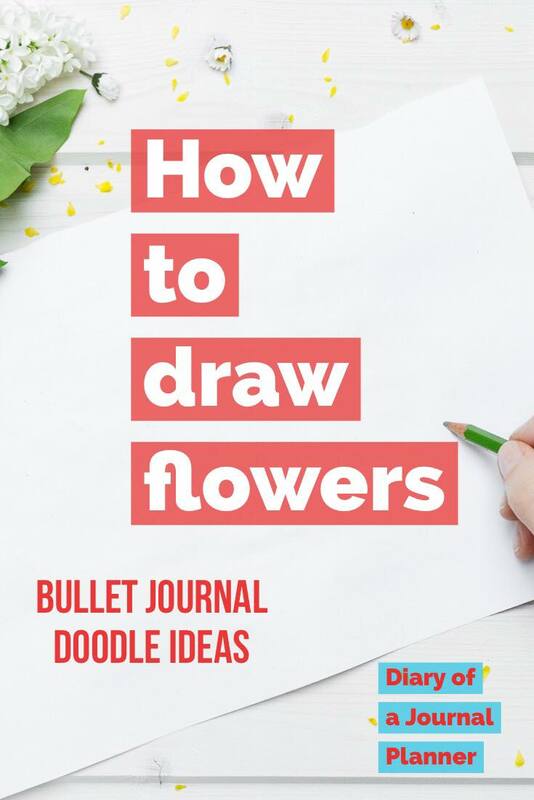 A beautiful flower drawing or flower doodle is a simple but effective way to make your bullet journal pages look amazing. 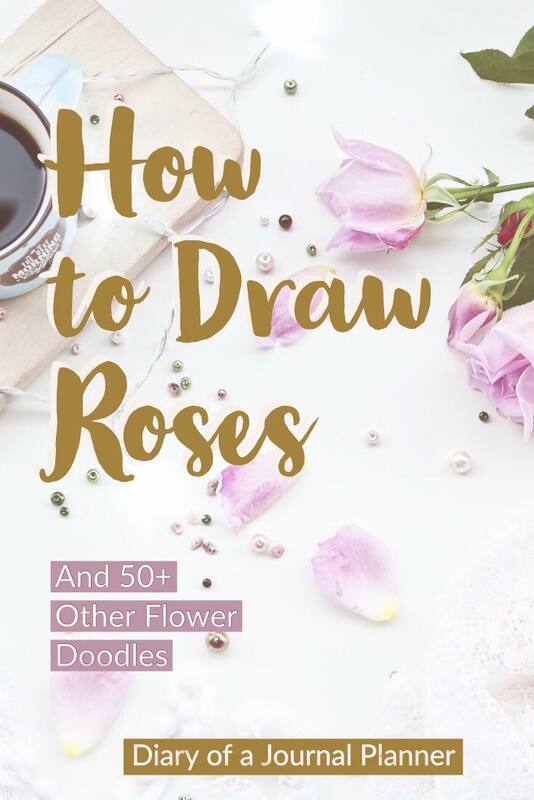 Drawing pictures of flowers can seem overwhelming if you feel you are not very artsy but we have found that with practice and by starting with simple flower doodles it is easy for people of any artistic talent to create gorgeous flower doodle art. 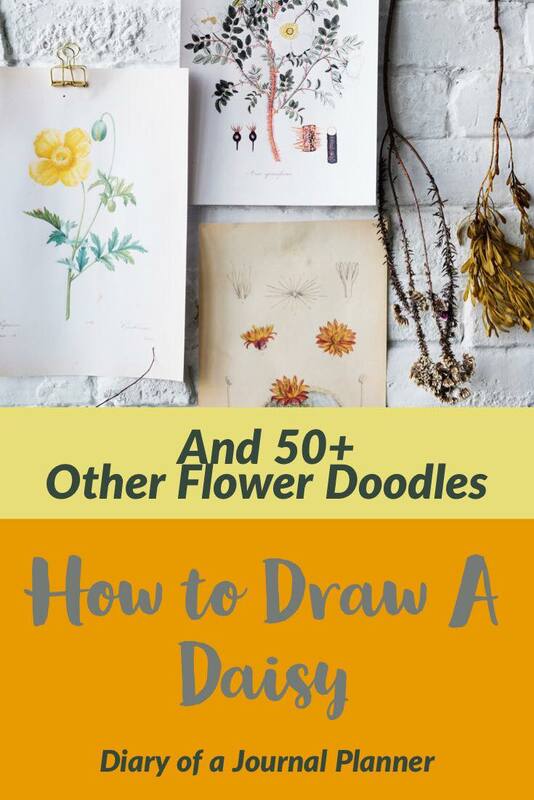 I have put together the ultimate list of how to draw flower doodles. 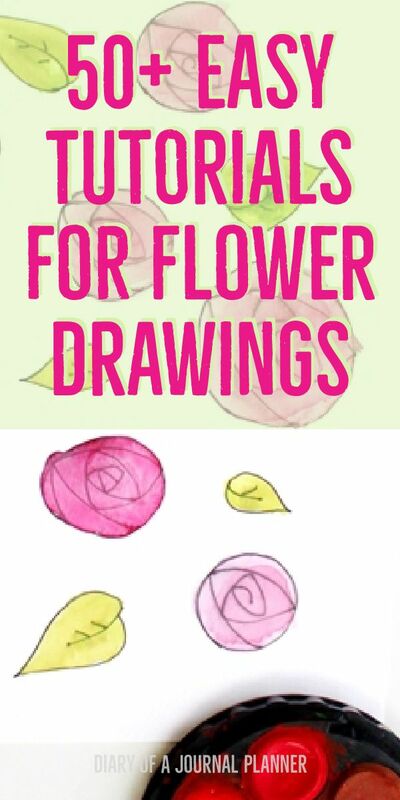 You will find so many drawing flower ideas and examples of lots of different flowers drawing tutorials. Big flower drawing as a Monthly Spread Cover page. Small flower drawings to add a theme to your weekly layouts. Drawing flowers with sharpies to add color and brightness to your bujo. Flower line drawing as a mood tracker. Easy flower doodle in your daily log. 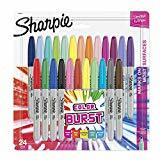 Either as an easy stress reliever or bujo signifier. Not sure what a signifier is? 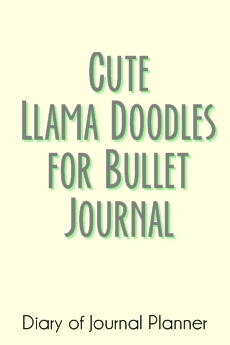 Find out more about Bullet Journals in our page here! I will say it again, just in case you didn’t believe me. Anyone can draw. Really, anyone. If you can write your name, you can draw. Before you start on how to doodle flowers. Here are some basic drawing tips that will help you create beautiful floral art. Start with simple shapes: Most things around you can be drawn with basic shapes like circles, squares, and triangles. 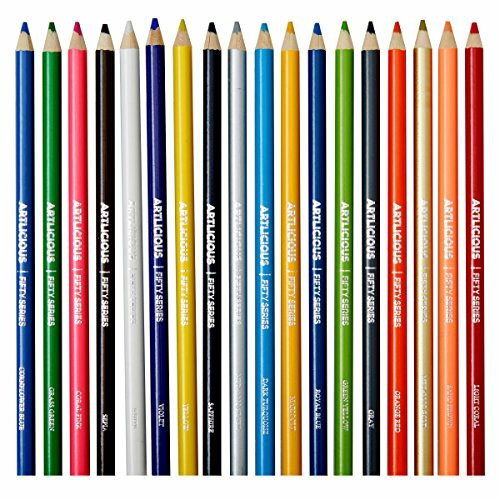 Pencil first: get used to drawing with pencil where you are free to experiment and in case of mistakes you can just erase and carry on. 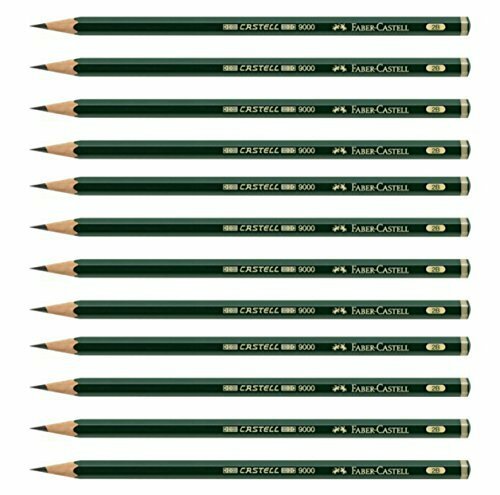 Here is my favorite doodle pencil. 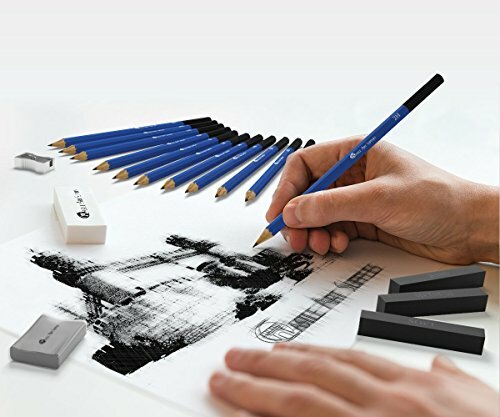 Experiment with mediums: Maybe you love drawing with pencil and shading the light just right? Or you may find creating bold color with fine tip markers is more your style. Finding a medium you love to use will help with creativity and skill. Be relaxed and move when you draw: Don’t keep your arm stiff, try drawing from your shoulder rather than your wrist. Practice. Lots. And forget perfection. Have fun and make mistakes. 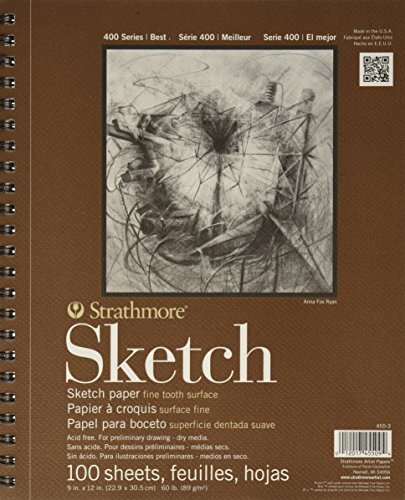 I am not going to show you the ultimate list here, just a few supplies that I love using for my doodles. 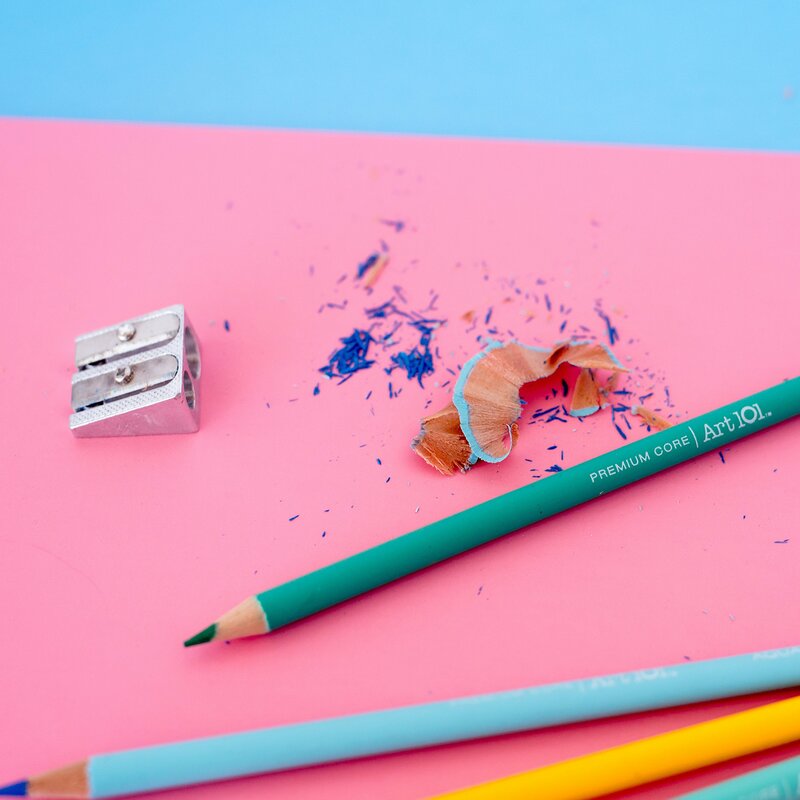 These are the basic tools you need to start doodling more, but I also love them for doing my bullet journal fonts and coloring my adult coloring pages and books. 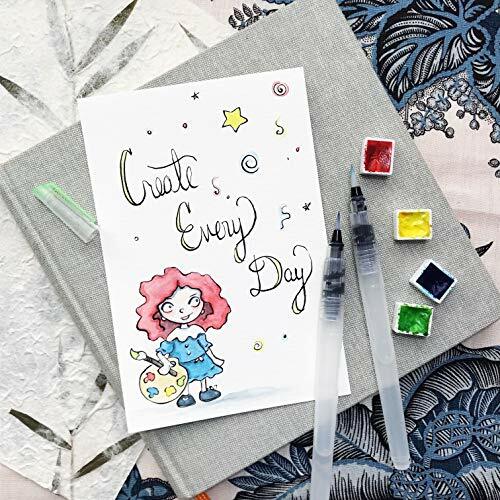 Check out our HUGE list of bullet journal doodles for some great ideas on easy and fun bujo drawings. 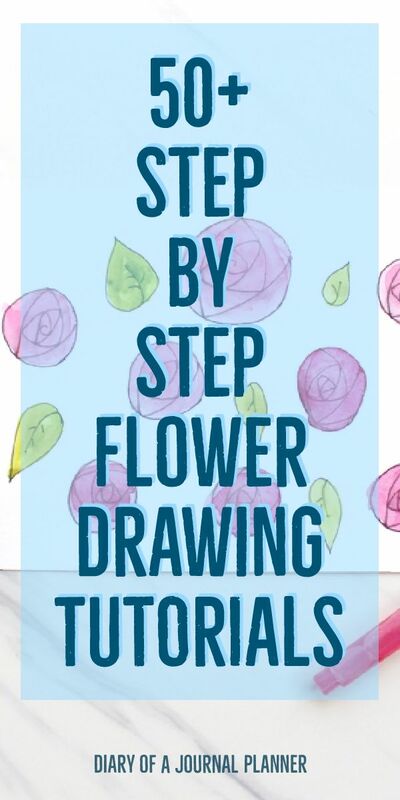 Now you know the basics here is a flower drawing tutorial for each of the most popular flowers. I have collected beautiful flower drawing images from some amazingly talented and creative drawers – follow the pin to find them. 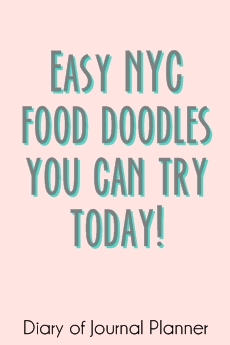 I hope you have fun trying to create your own doodle flower art. 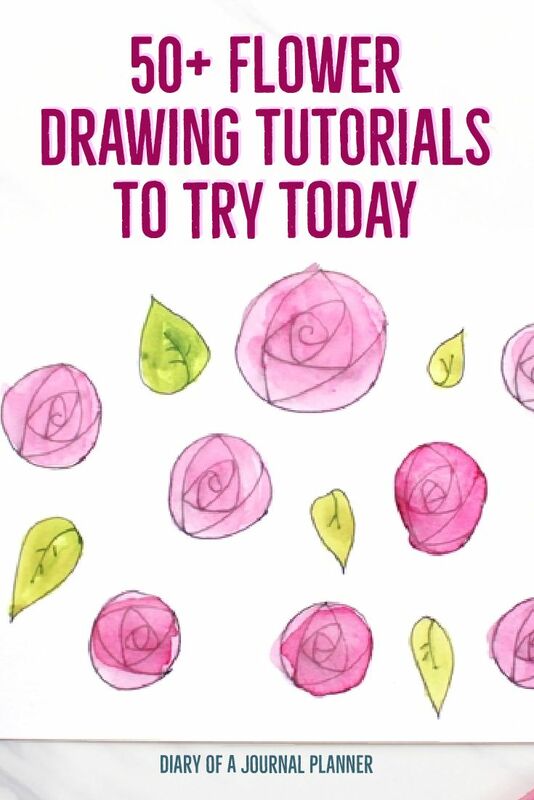 Here are a few of my favorite rose flower drawing tutorials. From a basic rose doodle to a more in detail flower design drawing. 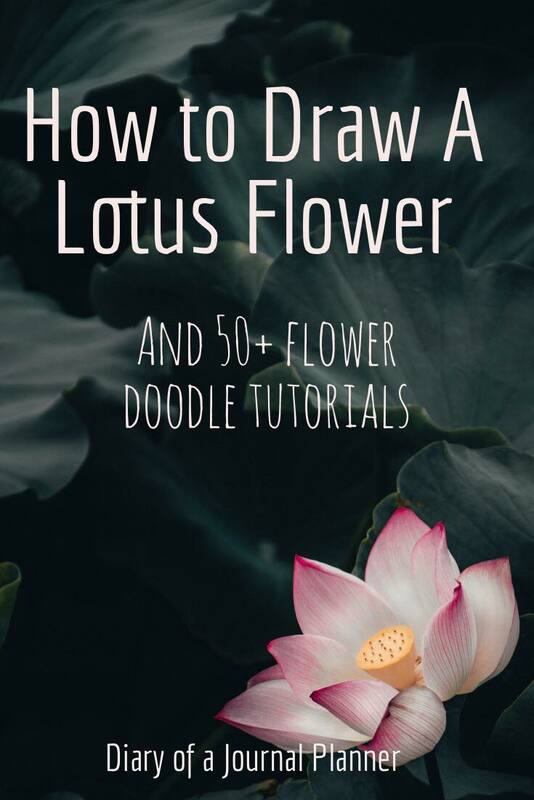 Create a simple lotus flower doodle with this step-by-step flower lotus drawing. We have added a few different styles including a fun zen flower drawing. One of my fave flower doodle designs is the daisy. It’s such a bright, fun, and easy flower sketch. A beautiful flower sketch drawing is the hibiscus. I love using a hibiscus drawing on summer spreads or in my travel journal. Another Hawaiian flower is the frangipani. Find drawing tutorials for both these flowers below. I also added a gorgeous flower garland drawing for some extra Hawaiian fun. Be sure to add the new Hawaiian flowers you just learned to draw in your garland. Sometimes you just want some simple and quick to draw flower doodles to brighten up a page or spread. I love this tutorial for a gorgeous bunch of flowers to fill up spaces in my bullet journal with some color. Here are some great leaf drawing tutorials. Leaves can make gorgeous artwork on their own or practice your flower leaves drawing to make your flower doodles even better. These last two tutorials would look amazing for an autumn monthly spread. Need just a quick flower doodle? These flora doodles may not be botanically correct but they are cheerful and super easy to draw. 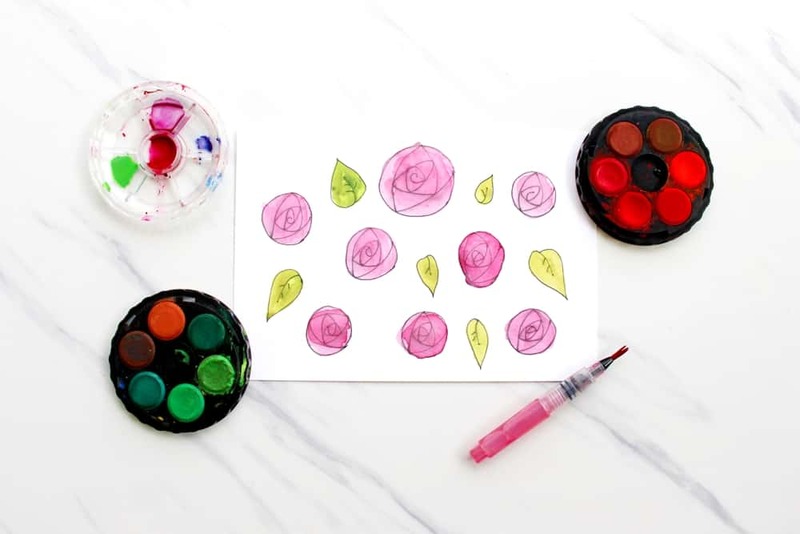 Tulips are an easy flower to doodle and you can pick from so many colors to shade them in. Lavender doodles are great for wreaths as well as springtime spreads. 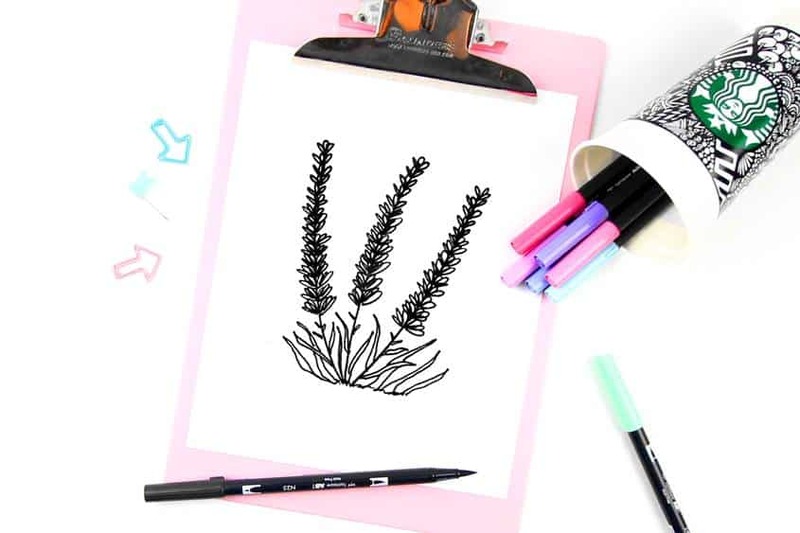 Here is my own lavender drawing take and I have a simple step by step tutorial on how to draw lavender flowers here! Flower circles or wreathe doodles can be as simple or as intricate as you like. They are a great way to make a date or other info stand out. Create them using your favorite flower and leaf doodles from all this wreath inspiration. Snowdrops are such a pretty flower to draw and are perfect for spring themed spreads. An easy way to add floral doodles to your Bullet Journal is picking a few of your favorite doodles and adding them to the corner of a page. How very sweet of you to share these ideas and examples for us who need a lot of help. I love your ideas and so want to try many of them! Thank you. Glad we could help Donna. Make sure you show us some of your finished flowers!